Automatically opens hinged vents with an expandable wax that drives a sealed piston. You can adjust the standard cylinder to start opening at any temperature between 62.6-77° F (17-25° C). 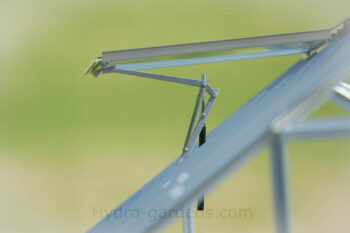 An Aluminum spring pulls the vent shut as the greenhouse cools and the wax contracts. Uses “scissors” action to open vent. All parts fully guaranteed for 1 year. It will open the vent about 14″ when fully extended, and can lift a 15# vent. 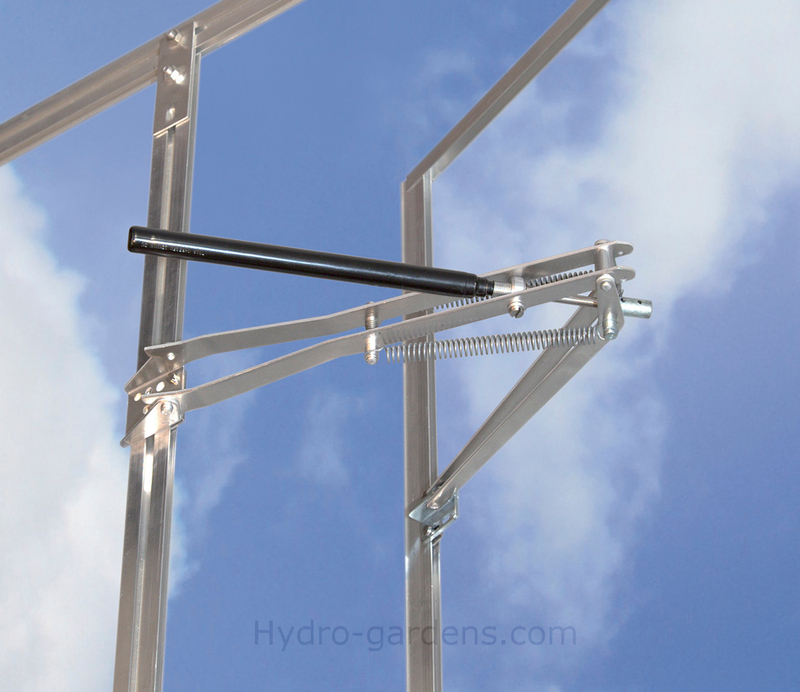 It is recommended that your UNIVENT – or at least the cylinder – be removed from your greenhouse or cold frame for the winter.